Minutes of the hurried meeting of the RBI Central Board Directors show that it was called barely three hours before the announcement. The RBI Act technically provides for up to ten directors from various fields to be selected by the Centre. At the time of the note-ban decision, only three out of ten of such directors had been appointed and one couldn’t attend the meeting. New Delhi: Former RBI Governor Urjit Patel-led Central Board, which was asked to consider Centre’s demonetisation proposal, had met less than two-and-a-half hours before the announcement of note ban on November 8, 2016. However, Prime Minister Narendra Modi went ahead with the decision even before the central bank’s board approved of it, according to a report by Deccan Herald. The minutes of the RBI meeting that were held right before the announcement was obtained under the Right to Information Act by activist Venkatesh Nayak and hosted on the website of the Commonwealth Human Rights Initiative. The board of the Reserve Bank of India was assured of adequate preparedness before it signed off on the Government’s demonetisation decision, show minutes of an RBI board meeting held on November 8, 2016, just before Prime Minister Narendra Modi announced the withdrawal of Rs. 500 and Rs. 1,000 notes. The minutes were released following a series of appeals by Nayak after the central bank first denied information under the Right To Information Act. Demonetisation would have a short-term negative effect on the GDP for the current year (2016-17). Exemption provided to medical stores could be extended to private medical stores as well. Demonetisation would have an adverse impact on tourists; long-distance travellers arriving with the high denomination notes would be taken by surprise and "put to hardship". The Rs. 400 crore of counterfeit notes in circulation is not significant as a percentage of the total money in circulation. However, it mentioned that any incidence of counterfeit is a concern. Demonetisation would have an impact on real-sector assets such as gold or real estate since most of the black money was held in those forms instead of cash. As much as 99.3 per cent of the junked Rs. 500 and Rs. 1,000 notes were returned to the banking system, the RBI had stated in August last year, indicating that a very small percentage of currency was left out of the system after the government's unprecedented note ban aimed at curbing black money and corruption. RBI directors were of the view that most of the black money was held in the form of real-sector assets such as gold or real estate and not in cash and that demonetisation would not have any material impact on those assets. It had said that demonetisation would have a negative impact on the economy in the short term. This was in reply to the GoI argument that the shadow economy for India (where black money transactions do not leave an audit trail) was estimated at 20.7% of GDP in 1999 and had risen to 23.2% in 2007 (based on World Bank estimates). The minutes vaguely mentioned that the Board found the measure commendable, but did not elaborate. It also mentioned that demonetisation will help achieve financial inclusion. Criticizing the Union Finance Minister making a “curious statement” in Parliament that the black money study reports may be made available to MPs, but will not be placed in the public domain, Nayak said that it was a violation of the RTI Act. The Indian Express reported on November 8, 2018, quoting the minutes, that the RBI board rejected the GoI argument in favour of demonetization, that it was meant to fight black money, but the minutes were never made public. Received last week, these were sent to Nayak following RTI watchdog Central Information Commission (CIC) issuing a penalty show cause notice to a GoI official for “inordinate delay” in the matter. The minutes showed that the RBI board’s 561st meeting was held less than five hours before Prime Minister Narendra Modi announced the controversial decision on television, though the RBI sent its resolution approving to GoI on December 16, a full 38 days after the Rs. 500 and Rs. 1,000 notes were banned on November 8, 2016. Suggesting that “RBI's Board had only rubber-stamped the Government's initiative”, Nayak said that the minutes show the board also rejected the GoI argument in favour of note ban which stated that growth of the banknotes of Rs. 500 and Rs. 1,000 denomination was 76.38% and 108.98% during the period 2011-16 whereas the economy had grown only by 30%. “RBI's directors disagreed with this reasoning and responded that the growth rate of the economy was the real rate whereas growth in currency circulation was nominal and when adjusted for inflation did not constitute any stark difference”, Nayak said, citing the minutes. “What is interesting is that the minutes do not contain any sensitive information such as factors, data or exchange of opinion about financial and economic security. Nothing in the documents that I have received indicates that any portion of it has been severed under Section 10 of the RTI Act to remove sensitive information,” Nayak said. The minutes also do not specify which director or directors raised these concerns. Even though it seems that RBI’s board had legitimate concerns over demonetisation, they approved it. The board was “assured” that the concerns that they raised had been “under discussion between the Central Government and the RBI over the last six months”. This would imply that the central bank and the Modi government had been discussing and debating demonetisation from June 2016. At the time of demonetisation, it had only ten directors, out of which three are what critics would call truly independent directors, The Wire reported. “The board included four representatives from the RBI (governor Urjit Patel and his three deputies), one director from the central bank’s local boards (Nachiket Mor), two government representatives (Shaktikanta Das and Anjuly Chib Duggal) and three independent directors (Tata’s N Chandrasekaran, Mahindra’s Bharat Doshi and former civil servant Sudhir Mankad),” the report said. The RBI’s minutes show that Chandrasekaran was absent the day that the board decided on demonetisation, leaving only two wholly independent directors (Doshi, former CFO at Mahindra and Mankad, former chief secretary of Gujarat), the report said. 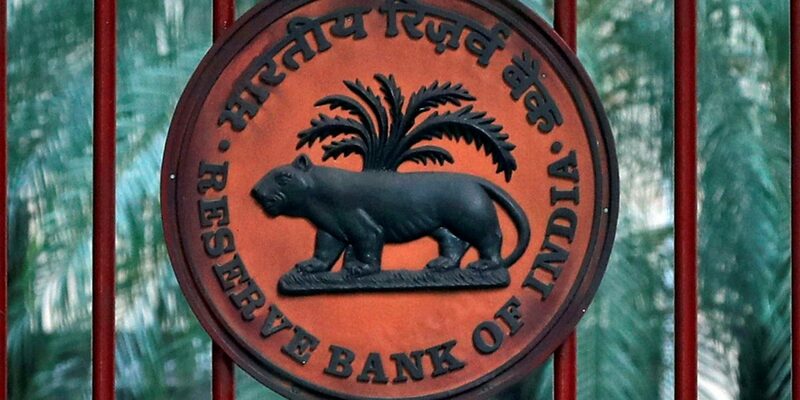 If there had been six months of debate between the government and the RBI, it is possible that the objections put forth in the meeting came from those who had no chance of being privy to any earlier discussion: Mor, Doshi and Mankad. “The problem is that the minutes of the meeting don’t say. It is also equally possible that some of the RBI’s representatives on the board also either raised or approved of the objections that were put forth – even after six months of back-and-forth between the Centre and the central bank. And if this were the case, it would show that the concerns weren’t adequately addressed and that the board approval was consequently a mere formality,” the report added. “The central bank’s board meeting on demonetisation is therefore also an indictment of how poorly the Centre has handled the issue of independent directors. The RBI Act technically provides for up to ten directors from various fields to be selected by the Centre. This is how industry professionals like Doshi or Chandrasekaran and former civil servants like Mankad are usually chosen,” the report said. At the time of the note-ban decision, however, there were only three out of ten of such possible directors had been appointed. And to make matters worse, one of the three didn’t attend the board meeting on demonetisation, the report said.